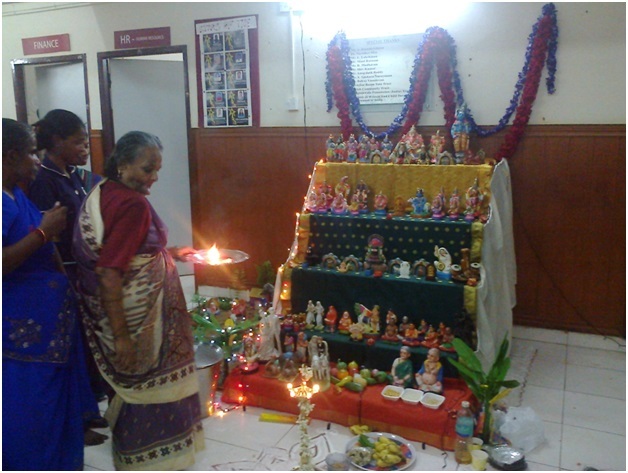 It was joy and vibrance that filled Adaikalam, The Banyan’s Transit Care Centre, on the eve of the Navaratri. 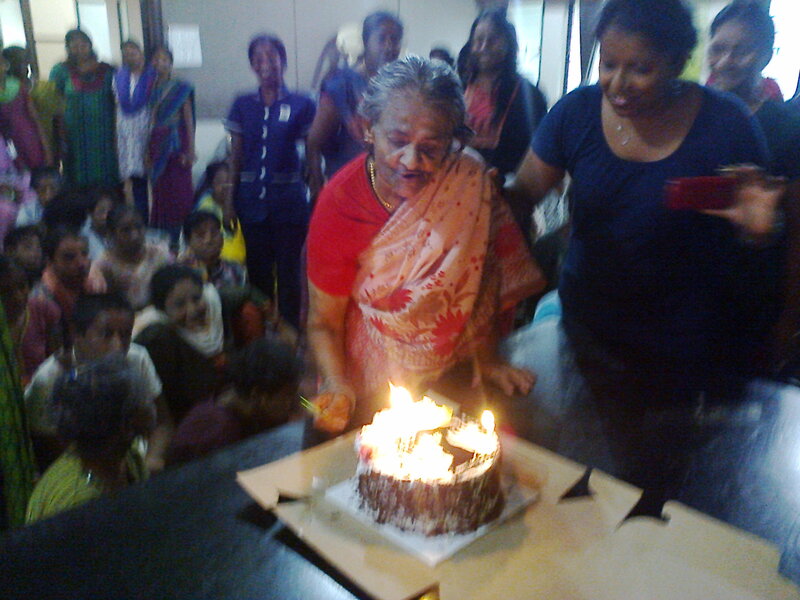 The celebration, hosted on the 30th of September, displayed the combined enthusiasm of the residents and staff. 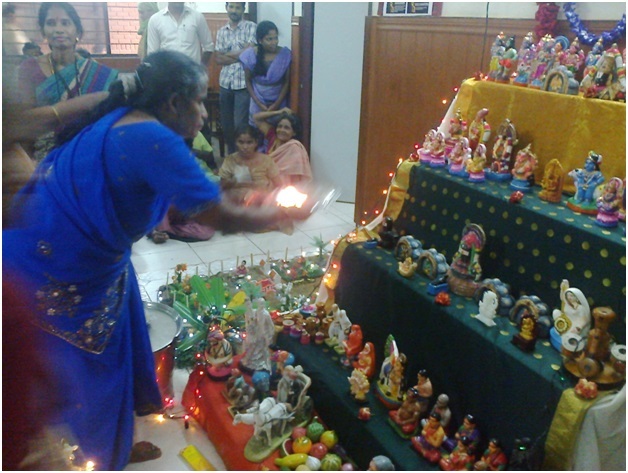 The festival involved the setting up of the Golu, wherein dolls of various religious deities were arranged by the clients . A miniature setup depicting a typical town life showcasing its well-lit huts, streets, grazing cows, and a temple at the centre reflected their enthusiasm. Following this was the traditional ritual of the lighting up of the kuthu vilakku by an elderly resident and that kickstarted the carnival of good vanquishing evil. Everyone took the aarti. Even hours after the pooja, Adaikalam retained a festive air filled with smiles and laughter. 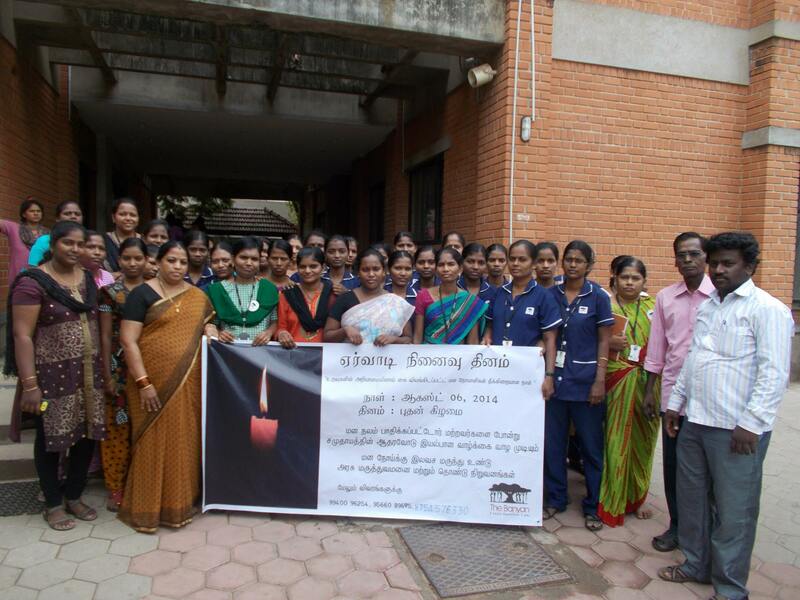 If you would like to participate in The Banyan’s work, please follow the links below…. Author thebanyanteamPosted on October 7, 2014 October 7, 2014 Categories Adaikalam, The Banyan's Transit Care Centre, News From The Projects, Urban Mental Health Programme1 Comment on Navaratri Celebrations at Adaikalam! 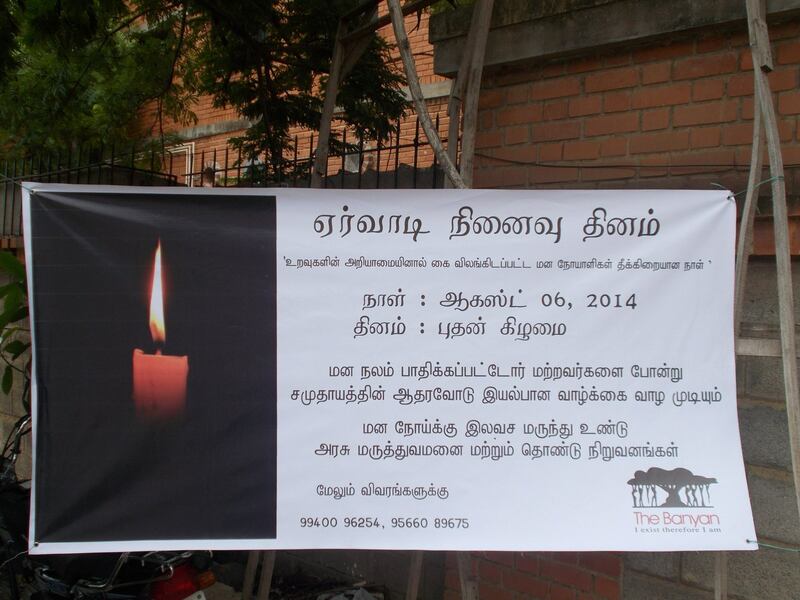 The Banyan’s 21st Anniversary Celebrations at Adaikalam! 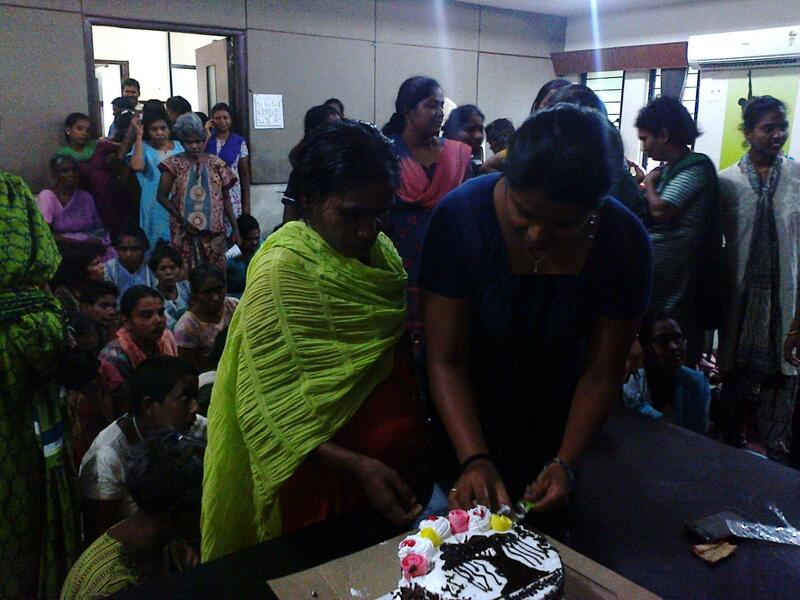 The 21st anniversary of The Banyan was celebrated in Adaikalam Transit Care Centre in August by the clients and staff! The celebration was kicked off with a short talk on The Banyan’s long journey and the promise of much more to come in the field of mental health. A cake marked with The Banyan’s logo was lit with candles and cut by Suguna Amma, the oldest of our clients, while the rest cheered and clapped. The cake was then distributed amongst the clients. 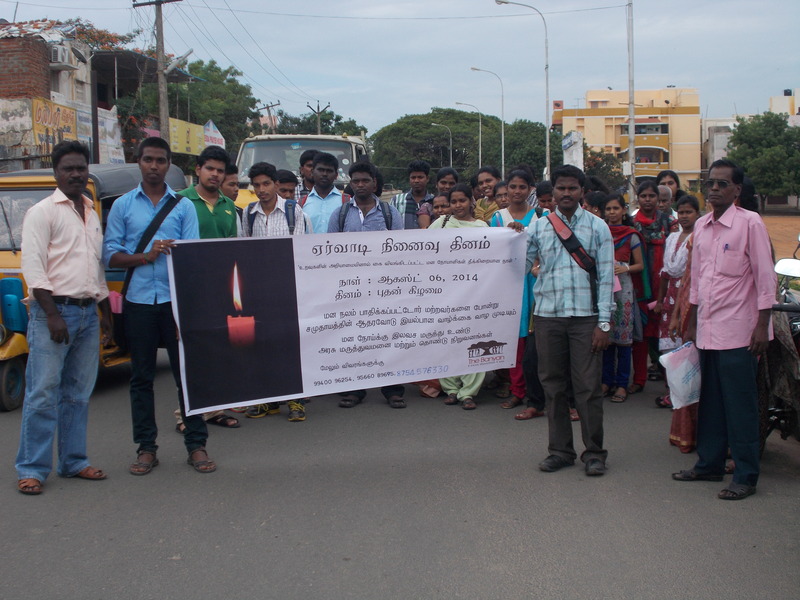 Author thebanyanteamPosted on August 30, 2014 October 16, 2014 Categories Adaikalam, The Banyan's Transit Care Centre1 Comment on The Banyan’s 21st Anniversary Celebrations at Adaikalam!